PRESSURE WAS PILED Minister for Children Katherine Zappone during Leaders’ Questions today as she fielded questions about reports that senior officials knew about escalating costs of the National Children’s Hospital well before Budget day. The Irish Times reported today that senior Department of Health officials were aware one month out from Budget 2019 that there could be a significant overrun. At a board meeting on 19 September, which was attended by senior HSE and Department of Health officials discussed how construction costs were coming in at €191 million above previous estimates. In addition, the board was told the main contractor submitted additional costs of a further €200m. Government ministers and the Taoiseach maintain they were not made aware of the final figure of €450 million until a meeting in November. Health Minister Simon Harris has said he was made aware of the possible cost overruns, but not the final cost, in August 2018. Fianna Fáil’s Dara Calleary asked the minister if it was credible that information like that had been “floating around at Secretary General level but was not passed on? What does it say to the Minister about relationships at the heart of the Government and those within the Department of Health?”. She said as an independent minister in government, she too has reservations about the cost of the project, but she said she believed Ministers Donohoe and Harris when they said they were unaware of the final figures before October. Zappone added that she believed the ministers answered questions to the best of their ability, stating that more light will be shed on the issue when the PwC report into the skyrocketing costs is completed. A review commissioned by the government to understand the reasons for the cost escalation associated with the new children’s hospital construction project is expected to be completed by PwC by 29 March – the same day the UK is due to leave the EU. The revised terms of reference for PwC’s review, published earlier this week, will also now deal with the accountability of relevant key party’s functions and roles but any sanctions made will be a matter for government. 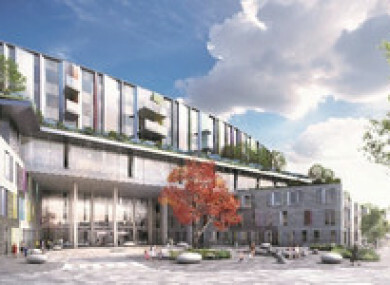 Speaking at the Oireachtas health committee yesterday morning, Minister Harris said was not aware of the cost implications for the new National Children’s Hospital in the run-up to last year’s Budget. “The public watching outside this is Father Ted territory,” he said. Questions over who knew what continued to be levelled at ministers today, as Finance and Public Expenditure Minister Paschal Donohoe fielded questions on the latest reports. The minister said that during the budgetary process he did not deal with the issue of capital expenditure, only current expenditure and the need for a possible supplement to the health budget. Sinn Féin’s Pearse Doherty said the Budget was brought before the House under false pretences if the ministers or high level officials knew about the overrun for the hospital. Sinn Féin’s Jonathan O’Brien highlighted some of the minutes of the board from May 2018 which note the assistant secretary of the Department of Health asking for a report to be sent to government in relation to the escalating costs. Other meeting minutes from June note that the contractor gave new estimates in August and that these would now have to be reviewed. “It is likely that the final guaranteed maximum price will be significantly greater than originally anticipated,” states the document. Labour Party Health spokesperson, Alan Kelly has this afternoon questioned the accounts by Donohoe and Harris about who knew what and when stating that they “don’t stack up following the publication of minutes which show the officials in the Department of Health knew of a €400 million overrun since September 2018″. He called for clarity stating that “if officials in the Department of Health knew since September 2018 and a high-ranking official in the Department of Public Expenditure sat on the National Paediatric Hospital Development board, how can it be that no ministers were informed until November 9th 2018? This does not stack up”. Email “Government accused of delivering budget 'under false pretences' and knowing of children's hospital overrun”. Feedback on “Government accused of delivering budget 'under false pretences' and knowing of children's hospital overrun”.